It’s a joy to mix yarn colors in a weaving and watch them blend as the threads interlace. It often takes an extensive yarn stash, however, to have enough different colors to use for effective blends. One way to maximize the pleasure of color blending is to paint the warp, choosing and mixing as many colors as you like. 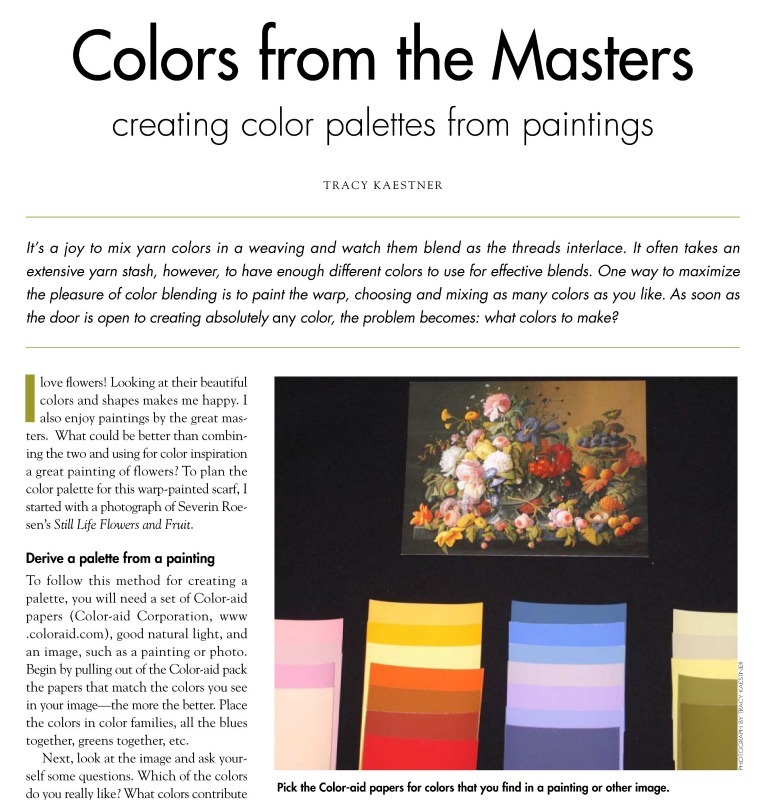 As soon as the door is open to creating absolutely any color, the problem becomes: what colors to make? 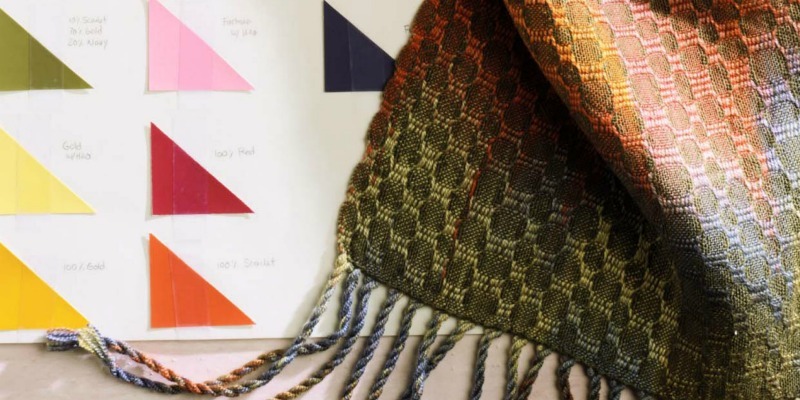 Would you like to weave a scarf glowing with kaleidoscopic color without using a zillion yarns? Experiment with color blending and give warp painting a try. Download this free article from Tracy Kaestner now!